My column on CNN Health discusses the many aspects of healthy living and answers a wide variety of questions. Dr. Jennifer Shu is a board-certified pediatrician and mom. Her passion is helping families build healthy habits...one baby step at a time. After all, it's easier to continue good habits than to break bad ones! Dr. Shu's experiences range from being in private practice to working in an academic medical center, where she was director of the normal newborn nursery. 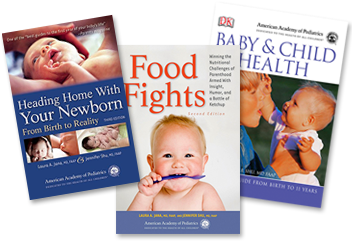 In addition to practicing pediatrics, she is an author, consultant and frequent media guest. "FOOD FIGHTS is smart, funny and right on target. I recommend a big helping!"